The first item we are going to look at it a BitCoin mining item. Before we go any further he is an article on BitCoin Mining from www.weusecoins.com. The FPGA Mining Contract Company makes its BitCoins by mining for BitCoins using FPGA's (Field-Programmable Gate Array). Which seem a very interesting way to mine for BitCoins and potentially offer even better results than Radeon graphics cards. We operate a small mining cluster built entirely out of custom FPGA boards (available for sale oncablesaurus.com). 100% of all revenue is distributed to shareholders as weekly dividends. Operating costs (electricity, maintenance, etc.) are covered by the dividends paid to the 500 shares held by the company (amounts to 8.3% of the 6000 total shares). No revenue is held for future expansion. This simple arrangement means that it’s extremely easy to calculate your potential income. Keep an eye on thestats page to see the average hashrate (expected to be 1.75 GH/s with the planned 7 boards). Based on that and the current difficulty, you can calculate the expected weekly income. The shares were issued in October 2011 and the company started mining in November 2011. The company spokesperson recently said they may start offering shares in the parent company. The current 30 day traded volume of shares is 1459 at a value of 467.15 BTC. 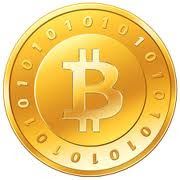 With the shares currently asking 0.3589BTC Now with the BTC value now looking steady at $5.76/£3.859 a BTC up from the recent low it seem's BitCoin mining is becoming (more) profitable again. With it being a mining contract issue on GLBSE you can expect a regular dividend.